What Can Our Financing Program Do For You? 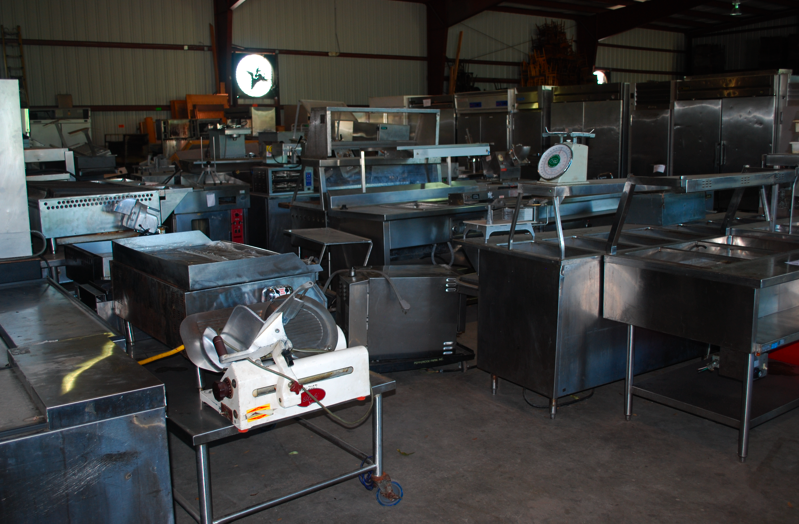 One Fat Frog Restaurant Equipment gets in a few truckloads of used commercial restaurant equipment a week – something like four truckloads are on the horizon for next week. We do our best to keep up you up to date with the items as the come off the trucks, but sometimes it can be overwhelming to list everything and a lot of the times the items are already sold before they’re even unloaded. And the items that actually make it into the warehouse never last long. We move in high volume here at One Fat Frog Restaurant Equipment and we move it fast! That’s why when you’re in One Fat Frog Restaurant Equipment and we have a piece of equipment you’re in dire need of – don’t sleep on it! Chances are it won’t be there tomorrow. This has happened to so many people who wanted to shop around for a better deal and they’re left having to pay more at another dealer. We have the lowest prices around because we move in such high volumes and we offer payment options that can’t be beat! We specialize in helping start-up restaurants get financing. If you’ve been dreaming about opening your own restaurant, bar, food truck, pizzeria, BBQ joint, etc., but are worried your credit will put an end to those dream quick, then stop sweating it! One Fat Frog Restaurant Equipment helps about 1-2 start-ups restaurant get financing every week. Established restaurants are also welcome to our finance program. This way, getting all of the equipment for a second location, a food truck, or for upgrading your restaurant kitchen is a cinch! Head into One Fat Frog Restaurant Equipment today and let’s talk about what our financing program can do for you!